China will improve the football education in schools this year, planning to better systems of football popularization as well as football teaching and training among youth. 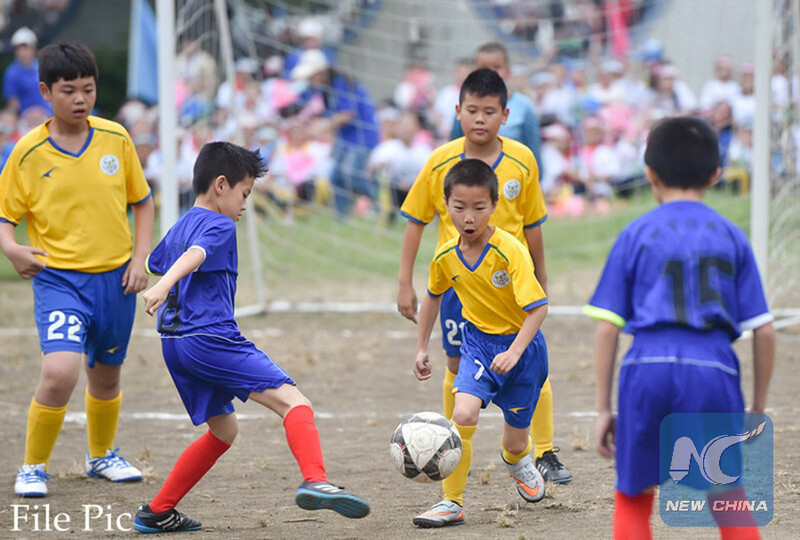 According to a report from China Education Daily, attention will be paid to both fostering the interest in football among youth and promoting high-quality coaching, training and competitions. The guidance and supervision over the operations of the country's football-featured schools will also be strengthened, and those which had failed to live up to relevant standards will be delisted, the report said. The report said the coaching and training system will be improved. A website for school football courses will be set up to facilitate online sharing of teaching resources. Professional coaches and retired players will also be encouraged to give lessons in schools. It said the management of the school football competition system will be strengthened, and elite players in the events may be sent to study and receive training abroad. Efforts to improve football education among youth also included innovations in the building of the talent pool in football, coordinated promotion by governmental departments and social groups and the building of a scientific research and study system regarding school football education.